Families First of Florida uses a unique model for our therapeutic foster care program to better support both the children and the families they reside with. Our tag line is Foster Hope for a reason, because we believe all people are on a life journey and the course of treatment is part of that journey. Being on a journey implies movement from place to place. For children and families that we serve, the starting point is often a place of confusion, pain and struggle. Our role is to help them “map” a solution that is right for them, so they can get to a place that is more stable and comfortable using Promising, Best and Evidence-Based Practices. 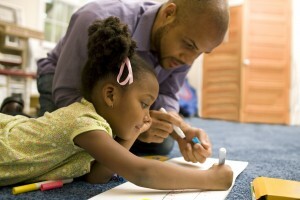 The program Families First of Florida utilizes is the Family Mentor Model. This model recognizes all behavior as communication, which focuses on connection more than correction, by emphasizing the relationship as the basis for healing and growth. The program trains mentor families and support staff in how to utilize active listening skills and empathetic responses by applying interventions which preserve and enhance the relationship rather than controlling the behavior. This model dictates a relationship response that carries over to our mentor families enhancing the way we serve our children and our families. Family Mentor Model philosophy stands on Trauma Informed evidence based practices. With the expectation of establishing and sustaining relationships. These relationships not only include the staff and families, but include its community support. The foster homes are trained in the Family Mentor relate series of trauma informed care. It is important, through every stage in the process of recruitment and training, that foster parents are engaged, developed, and supported. The path to an effective foster parent program is not linear but, rather, operates in a cyclical fashion as each stage in the process positively or negatively influences the other stages. Families will be supported by our staff being available and responsive, we have created an organized peer support team with in our families. Our Model sees our families and children we serve as part of a continued relationship building process. We understand and value communication and support of our children and families and know that it takes a village to raise a child, especially those that have experienced trauma and disconnection from their biological families. Families First of Florida would love to talk to you more about becoming a therapeutic foster parent. Please visit http://www.familiesfirstfl.com/get-involved/ to learn more.